The UK population had peaked to 65.6 million in 2016. And, it was reported that 18% of the population were aged 65 and over. With an ageing population that’s constantly on the rise, are the public shopping centres accommodating for the elderly and their needs, and are they making themselves accessible for those with disabilities? Surprisingly, many retail stores are inaccessible to many despite Britain’s disabled population having a spending power of £80bn. Some companies are potentially losing out on their share of the weekly £420m in sales by not having wheelchair ramps and access to all floors. 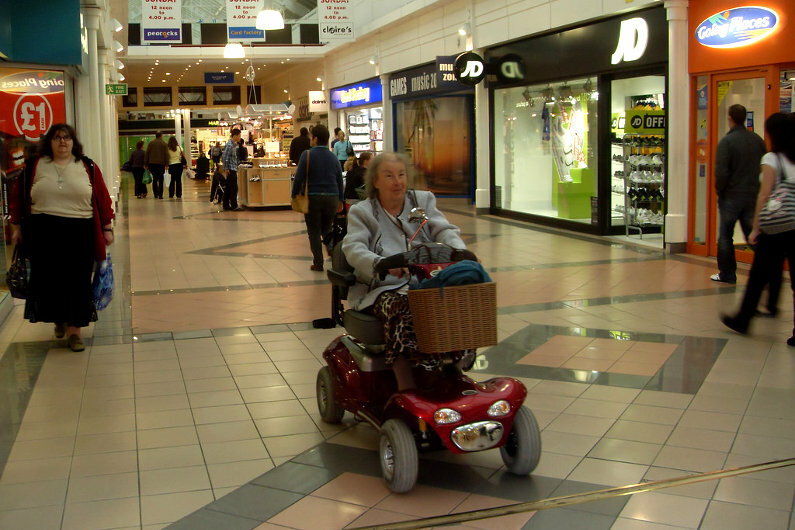 To further investigate, stair lift manufacturer, Acorn Stairlifts look at the ten biggest shopping centres in the UK and analyse how accessible they are for those with mobility restrictions. Shoppers with disabilities tend to bring their own wheelchair or walking aids. However, it’s important for shopping centres to offer the facilities to hire this equipment for elderly people who may need some relief from walking around or those who struggle walking long distances. The big shopping centres all offer facilities that allow shoppers to hire manual and electric wheelchairs or powered scooters. The process in the shopping centres do differ however. In the Trafford Centre, users must pay £2 per hour for the use of a wheelchair yet in Bluewater Shopping Centre, this cost is £3 for four hours. Lakeside Shopping Centre offers the use of the service entirely for free, as does the Metrocentre. Appropriate toilet availability is a big consideration for the disabled and the elderly in the shopping centres. Many people will avoid going to certain places with the concern that they won’t have access to the facilities that they need. Large accessible toilets called ‘Changing places’ consists of an adult-size changing bench and hoist. This avoids people having to lie on toilet floors to be changed and provides enough room for carers to assist someone with going to the toilet comfortably. Unfortunately, there are only just over 1,000 changing places in the UK — yet millions of regular toilets for non-disabled people. There has been some improvement, as there were only 140 of these facilities across the UK in 2007. Only 50 out of around 500 shopping centres have them in the UK, but what about the ten biggest shopping centres? Out of the ten biggest shopping centres, our research found that 90% offer changing places, in fact Westfield Stratford City in London have two changing places. Meadowhall in Sheffield also has accessible shower facilities — a great facility for disabled and elderly people who may be more prone to toilet accidents. Along with changing places, the number of disabled toilets that are available is also important. This means that older people or those with disabilities will be in close proximity to a disabled toilet should they need it in the shopping centres. The Metrocentre has one disabled toilet per 48,600 m2 of retail space, as well as regular toilets. In the Trafford Centre however, there is one disabled toilet point per 61,000 m2 of retail space and more regular toilets than disabled. Merry Hill have one per 21,666 m2 — providing disabled people with easier access to the facilities that they need. 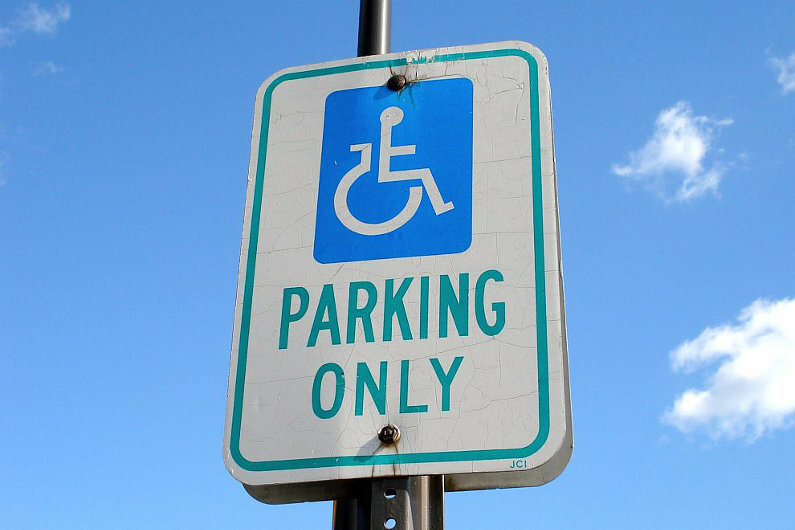 The Disable Parking Accreditation (DPA) runs to improve parking for disabled people and reduce incidences where non-blue badge holders misuse the designated spaces. The requirements to qualify include parking bays which meet specific dimensions, monitoring of accessible bays and easy entry to the car park. 40% of the ten biggest shopping centres in the UK received the accreditation which are Metro in Gateshead, Bluewater Shopping Centre in Kent. On the other hand, Merry Hill Centre in the West Midlands is not. On-site disabled parking is limited at many of the shopping centres. At Manchester Arndale, only 2% of spaces were dedicated to blue badge holders. Likewise, at Meadowhall Sheffield, this number stood at just under 3%. Westfield London shopping centre has 5% of their parking bays dedicated to disabled spaces, which should in theory increase the likelihood of disabled shoppers visiting the premises. As we’ve learned, there is still room for improvement when it comes to giving the disabled and elderly people the independence of the non-disabled population when shopping. There are many things that all shopping centres should certainly consider implementing to improve the experience of disabled and elderly shoppers — including additional disabled toilets, changing places, ramps and more.